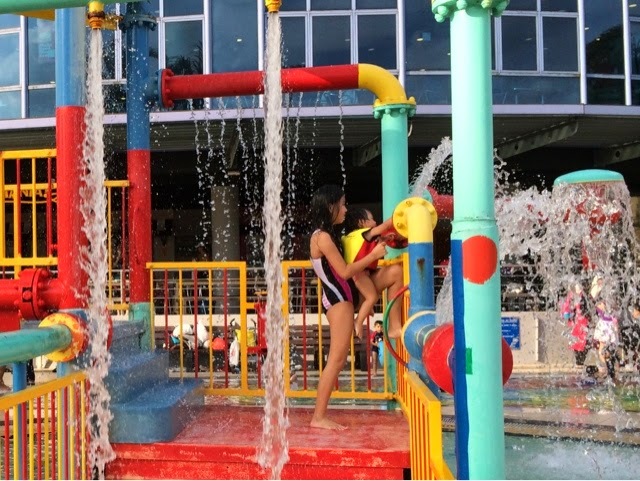 Jurong East Swimming Complex is probably the most comprehensive public pool in Singapore. They have a play structure for the little ones, a wave pool, a lazy river, big slides, a jacuzzi, and a competitive pool. She's pampered by her siblings who would prop her up to touch everything she points to. 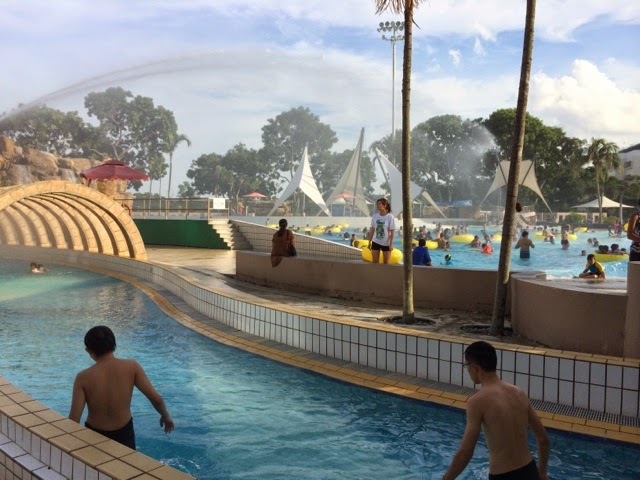 Lazy river (in the foreground) and the wave pool (background). Every once in a while, there is a huge spray over the wave pool. Be prepared to get drenched! For the older kids there are 3 water slides. 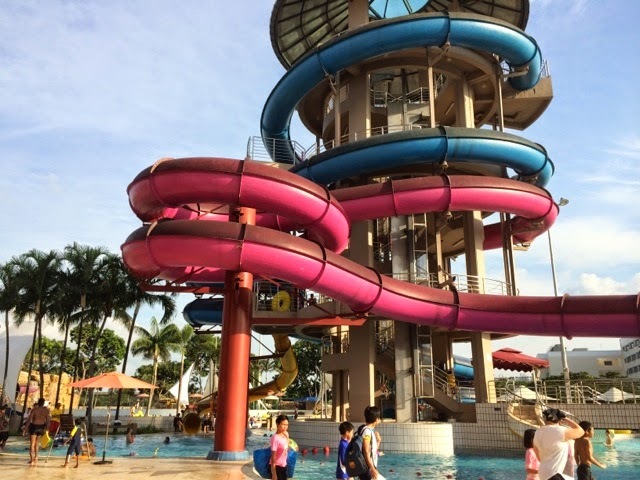 2 of the slides require the use of the float. The older kids went off to try the slides while Kate played happily by herself. 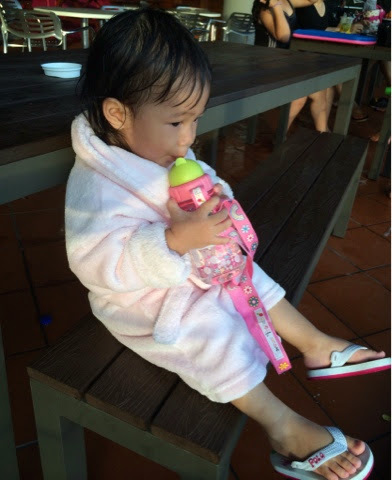 We arrived at 4.30pm on a weekday during the school holidays and they ran out of floats to rent. It costs $2 for 2 hours of rental, plus you need to place a $3 deposit which will be refunded. 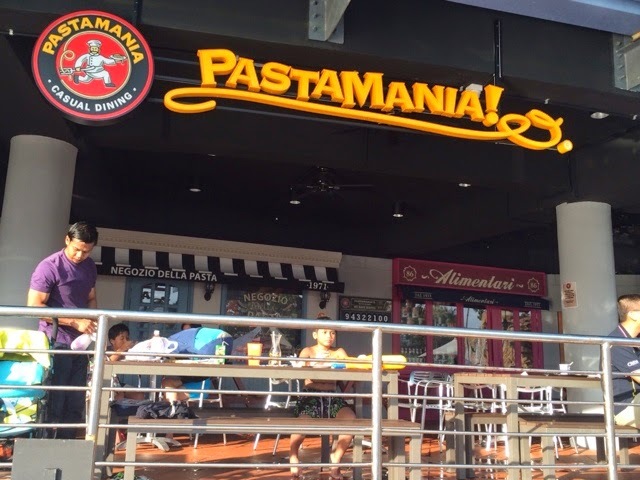 The only food available inside is Pastamania. What happened to the good ol' days where they sold fish balls on sticks and fried bee hoon? I needed a cup of hot milo and it costs about $4! Will remember to bring a whole flask of it the next time. I walked one big round to look for the entrance to Pastamania, and it is just a windowed counter at the far right end. After about 2 hours, Kate had enough and she sat and had her snacks while waiting for the older ones to enjoy themselves without having to take care of her. Sane tip: Do note that it's closed on Monday, to avoid disappointment. The last school holiday, the kids were all prepped to go and alas, it was a Monday and the gates were closed. 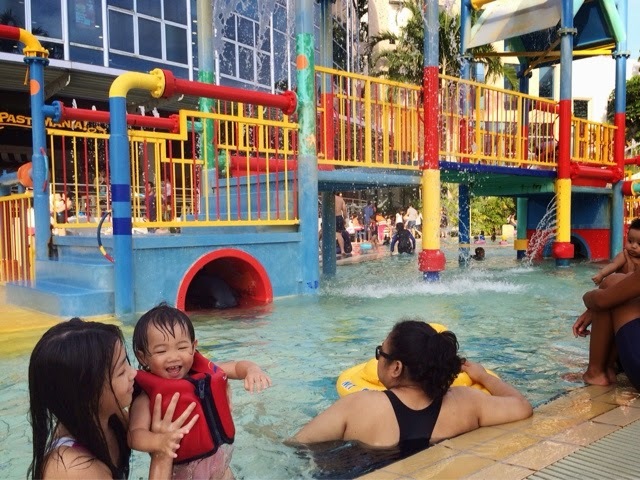 We ended up in Jurong West Swimming Complex instead. Be prepared for a huge crowd during the school holidays and weekends. 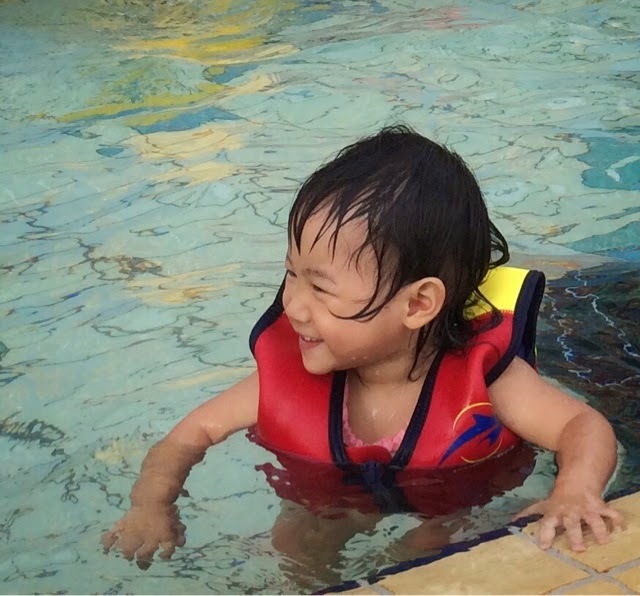 Save tip: It can't get any cheaper than this for a ton of water fun! Pack your own picnic and you can easily spend half a day there.